Just like how stainless steel break lines firm up your brake pedal and feel. 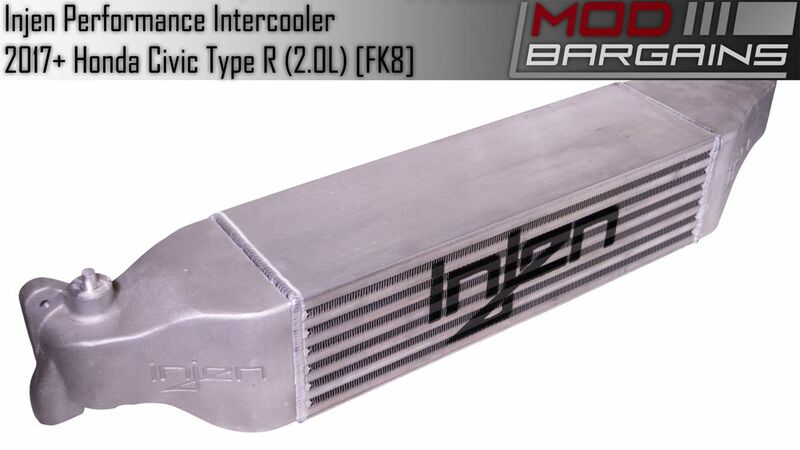 Replacing your OEM rubber intercooler pipes with Injen Intercooler Pipes improves your throttle response and airflow by maximizing velocity with out any flex or stretch like the OEM couplers. Available in Polished, Black or Red. 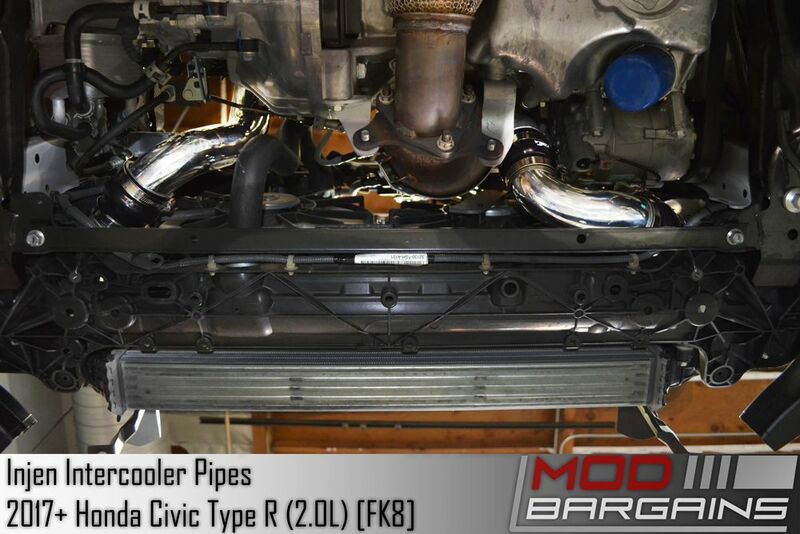 So you got a go-fast Civic Type R and your looking for performance mods. Just like it was in the glory days of mid 90's Hondas. The first place to start your power journey is with the intake system. 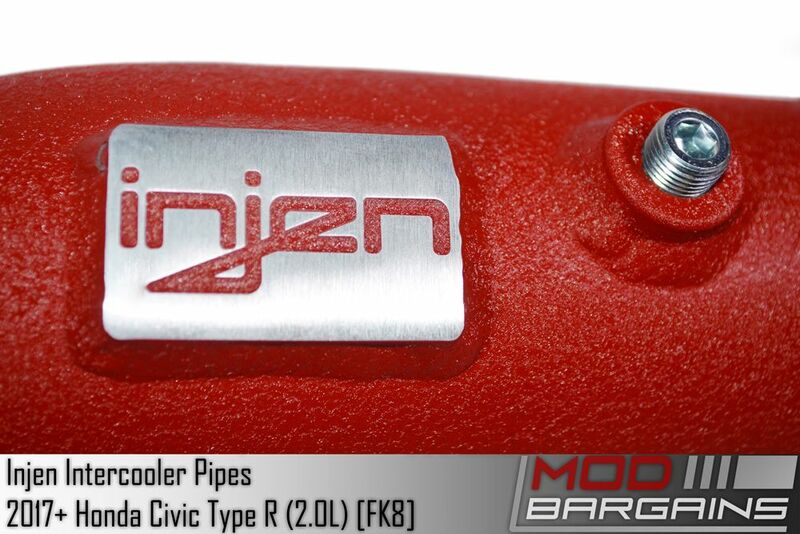 Injens Intercooler Pipes are designed to replace the factory rubber hoses which can loose boost pressure due to flex, or crack over time. 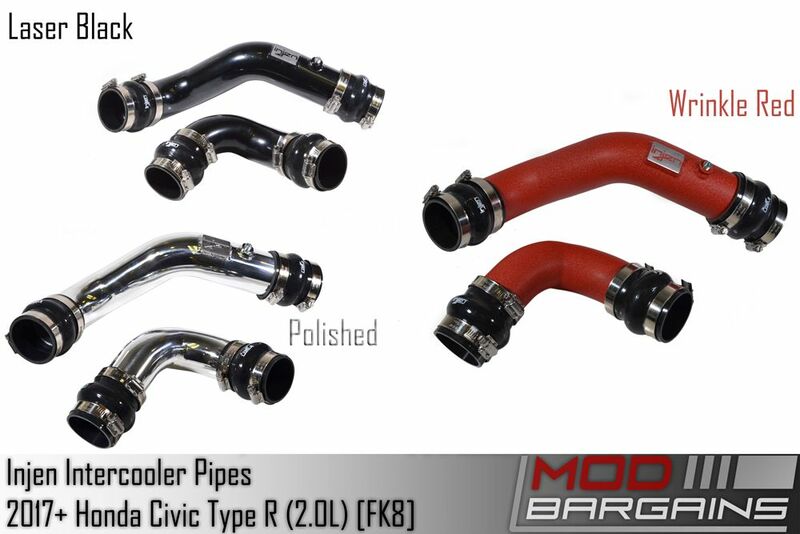 Replacing these flimsy rubber pieces with solid pipes greatly improves throttle response and acts as preventive malignance for years of leak free performance. 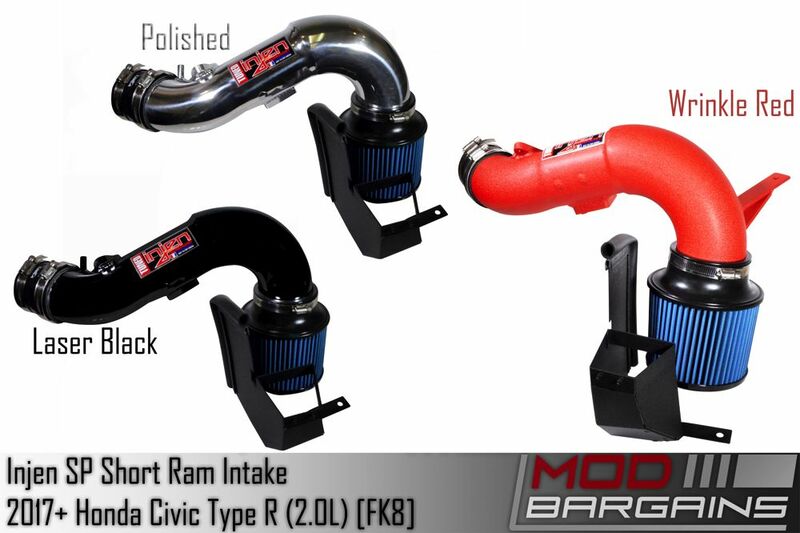 Not to mention the color options are a great addition either adding a zest of color to your engine bay, or keeping your mods hidden from lookie-loos.